Your bedroom should be a sanctuary of peace and calm, to help promote a good nights sleep. Many people have trouble dozing off and there are many reasons for this. Watching TV or playing games on your smartphone will not help and you should turn them all off at least an hour before going to bed. Leave at least two hours spare after eating your evening meal, or your food will not be digested and it will make it harder to settle. Not everyone realises the importance of sleep. A lack of it can make you tired and sluggish and this will eventually lead to anxiety and depression. Your body and mind need the time you are asleep to recover from the vigour’s of the day, and if it constantly does not get that, you will start to suffer. A healthy adult should aim for between 7 and 8 hours most nights, and then they will be healthier for it. How can you make your bedroom a calm place to be? It is simple really and just needs you to do a few things. The most important thing is that your room is properly clean. It needs more than a quick flick of a duster. You need to empty as much out of the room as you can and then clean under the bed, behind furniture, door frames and skirting boards too. When you have given the room a thorough clean, only put back into it what you really need. 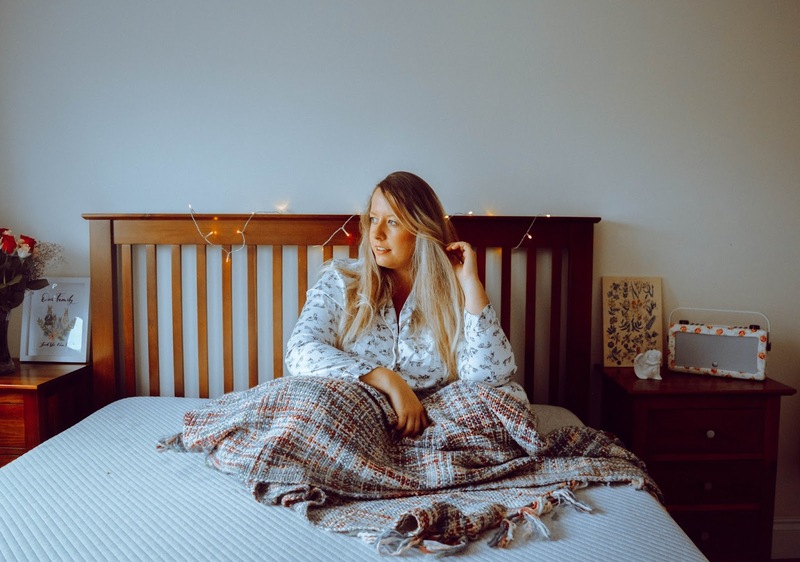 Any cluttered room in your home can have an adverse effect on your mental health, but this especially applies to your bedroom. You should go through every drawer and see what things you are keeping that you no longer wear or use, and dispose of them unless they are of sentimental value. You may be surprised just how many things you have that is years old, and could perhaps be more useful to someone else. When you have done this to all of your drawers, go through your wardrobe as well. Suddenly you will find you have extra space in them all to put other things away that usually sit on top of your dressing table. This whole exercise will be a great start to making your bedroom a calm and relaxing place to be. It is well known that some colours will make you feel calm while others will stimulate your brain and you need to consider what colours you have in your bedroom. Neutral shades of greys, beiges, pale blues and whites will have a calming effect while bright red and oranges are more likely to wake you up. If the walls in your bedroom are one of the brighter colours, give them a lick of paint and the effect will be amazing. The same applies to your curtains or blinds, if they are too bright then change them. 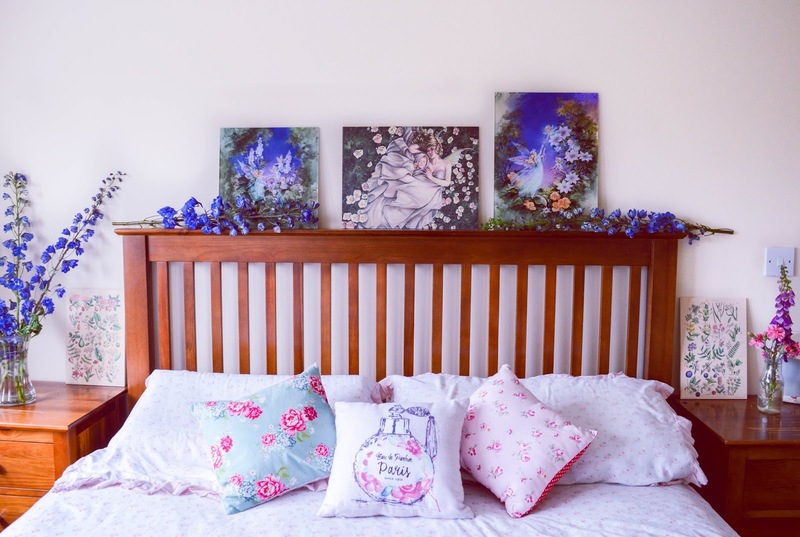 If you really want some bright colours somewhere in your bedroom, have a couple of colourful pictures on the walls, or cushions on your bed. Small amounts of bright colours are fine, but whole walls of them can keep you awake at night. The most important part of your bed is the mattress and that should be so comfortable you are glad to lie on it every night. It does not matter which sort you have found suits you the best as long as when you get into bed, you know you will be able to lie in comfort. Your bed linen should be something that feels nice to the touch. The best for this is probably silk, but that is out of reach of most people’s pockets. You want your bed linen to feel soft to touch though so use a fabric conditioner when you wash it. If your bed does not feel inviting, consider having some large cushions on it or try just having one pillow. It is a case of trial and error till you find which is the best for you. You should also try a sleep spray, as it can help to promote a peaceful nights sleep. They gently scent your pillows with natural essential oils to calm and relax your body and your mind. With various fragrances to choose from, you will have no trouble finding one that you like. Keep something comfortable in your room. This could be a fleece blanket, a dressing gown or anything else that makes you feel comfortable. Then if you want to sit on your bed to read or just to relax, you will have something comfortable to wear or throw over you and that can help to make your room more inviting. There can be so many electrical wires in your bedroom that they can spoil the look if you do not try to put them out of sight. If you have lamps on bedside tables, an electric alarm clock and a fan, for instance, all those might be plugged into a power strip, and that needs to be under your bed or behind a piece of furniture. As much natural light as possible is the best way to keep your mood high, but if you only have a small window in your bedroom, there may not be much at all. If this is the case, you should create some soothing lighting by having a warm looking lampshade with low light at the side of your bed. 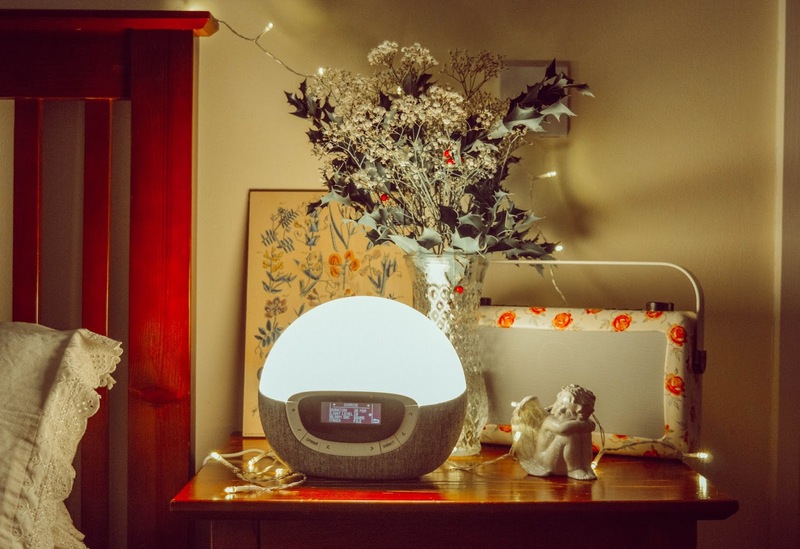 Of course, the main light in the centre of the room can be brighter, but you will not be using that just before you go to sleep. When it is time to sleep, you need the room to be as dark as possible, as any light seeping in and your brain will think it is time to wake you up and that can be the cause of a disturbed nights sleep. You may be surprised how much having flowers or a plant in your bedroom can relax you. The problem with flowers is that they will have to be changed regularly or they will die off and have the opposite effect. A plant, that just needs you to give it a bot of water every few days is a much better option. Plants take in the carbon dioxide we breathe out and replace it with oxygen. This means that having a plant in your bedroom will help to keep the air fresher as well as helping to make it smell pleasant. A stool or chair sitting in the corner of a bedroom acts as a magnet for clothes that have been worn. They tend to pile up until they are taken to the laundry room but in the meantime, do not help to keep your bedroom clean and tidy. If there is nothing there to throw used clothes on, they are less likely to accumulate in your bedroom. The right type of music can be the most relaxing thing of all. You do not want to be playing heavy rock that will have you up and dancing, but something more subtle, just in the background can do wonders for getting you to sleep. You can have a playlist on your phone that you turn on every time you enter the room. Our brains are very clever, and it will soon learn that when that music starts it is nearly time for sleep. Wooden or laminated floors may look great and be easy to clean. They are not good to step out of bed onto in the winter months though. You feet need something warm and soft to be the first thing they feel when you get out of bed, and you should have some rugs at the side of your bed. These will not only be the first thing your feet touch when you get up, but they will be the last thing they feel before you get into bed too. It may sound daft, but if your feet are feeling good, the rest of you is more likely to as well. Soft and fluffy rugs are a brilliant way to start off your calm and peaceful good nights sleep. If you have no choice but to have a desk and computer in your bedroom, make sure you use them what they are meant for and not as something to play on and keep you awake at night. Try to separate the area they are in if you have the room and tell your brain that the place is for work and the bed is for sleep. It will soon learn to distinguish between the two and will switch to the mode you need it to be in. At the end of each day when you retire to your bedroom, you want it to be a room that envelops you with warmth and comfort. Then you can slip into bed and will be asleep in no time at all.